Synopsis: Millie comes to town in the roaring twenties to encounter flappers, sexuality and white slavers. Thoroughly Modern Millie is a lot of fun. That’s praise indeed coming from someone who is no fan of musicals – and this one runs for nearly two-and-a-half-hours – so, believe me, I was pleasantly surprised when I discovered just how enjoyable this movie is. Curiously, for a Hollywood movie set in 1920’s America, Thoroughly Modern Millie stars a couple of young English actors (Julie Andrews – Despicable Me – and James Fox) in roles that could have easily been filled by American talent. Julie Andrews was hot at the time, so perhaps she had a hand in James Fox becoming her co-star. 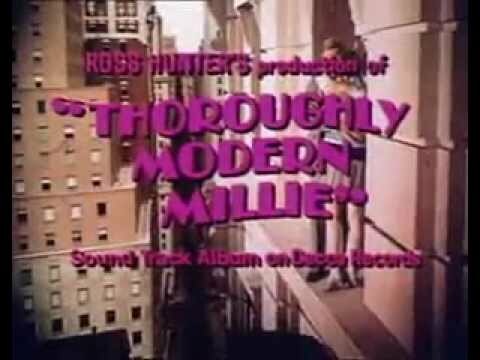 Either way, he’s ok in the part of Millie’s would-be suitor, although, it has to be said, his American accent plays hide and seek throughout the movie. Mind you, at least he has a go: Miss Andrews’ lovely cut-glass British accent is to the fore throughout. She, by the way, is terrific in her role; it’s easy to forget what an accomplished comedy actress she is, and it’s perhaps no coincidence that her movie career began to stall when she concentrated on more serious roles. 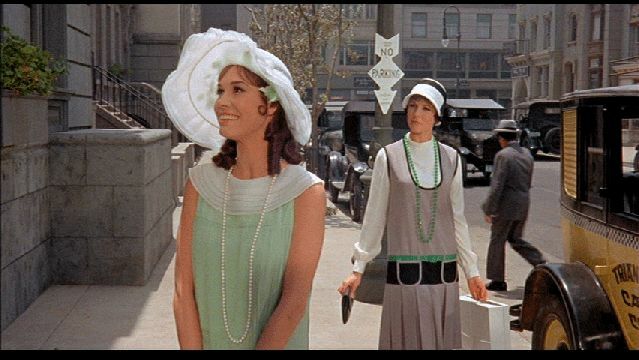 Thoroughly Modern Millie’s plot is lightweight nonsense about the white slavery trading of innocent young girls by a Chinese Laundry (believe me, it sounds a lot racier than it actually is – this is a Julie Andrews movie, remember! ), and is really nothing more than a filler between a number of song and dance sequences – a lot of which are instantly forgettable, it has to be said. In fact, it is only in the last hour or so that the plot comes to the fore, which, coincidentally, is when the movie really takes off. The musical numbers are dropped completely and comedy takes over with a great homage to Harold Lloyd’s antics in Safety Last (1923), and a fast-paced, riotous finale. The only downside to the movie is a truly annoying performance by Carole Channing as a rich society woman. I recommend this movie, even if, like me, you’re not a fan of musicals.